RoC Consulting is the proud recipient of the prestigious IstructE North West Structural Awards 2018 for Large Project No. 1 Spinningfields, Manchester. 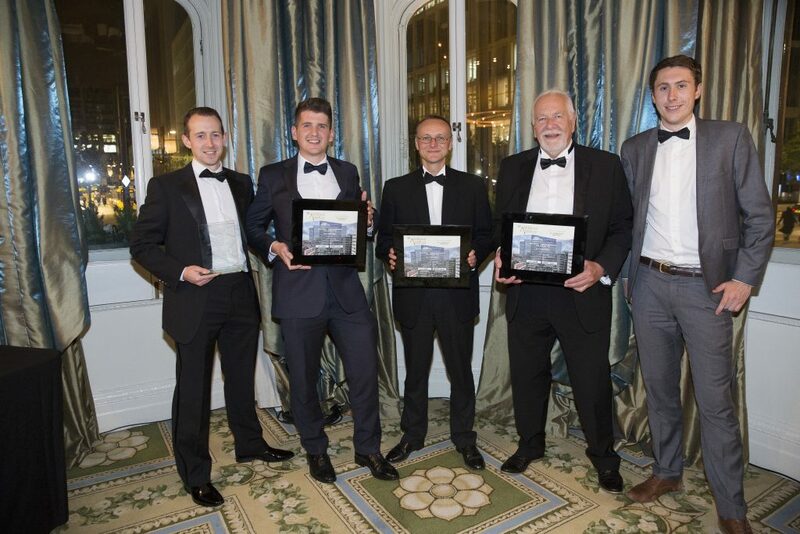 Awards were presented to Jon Smith Design Director, Simon Beckwith Principal Engineer and Phil Slaughter Senior Engineer, who all worked tirelessly on this city centre project. Pictured from left to right: Steve Ball, Scott Munro, Jon Smith, Phil Slaughter and David Nobles. Congratulations to everyone at RoC who were involved on this project. The wider project team included Allied London(Client), SimpsonHaugh (Architect), BAM (Contractor), Gardiner & Theobald (QS), Grontmij (Building Services, William Hare (Specialist Sub-contractor). RoC Steady an interesting read!